A kitten was rescued from the rubble after a wall collapsed Thursday at a building in Dania Beach. The incident happened around 11 a.m. at the building at 21 N. Federal Highway. 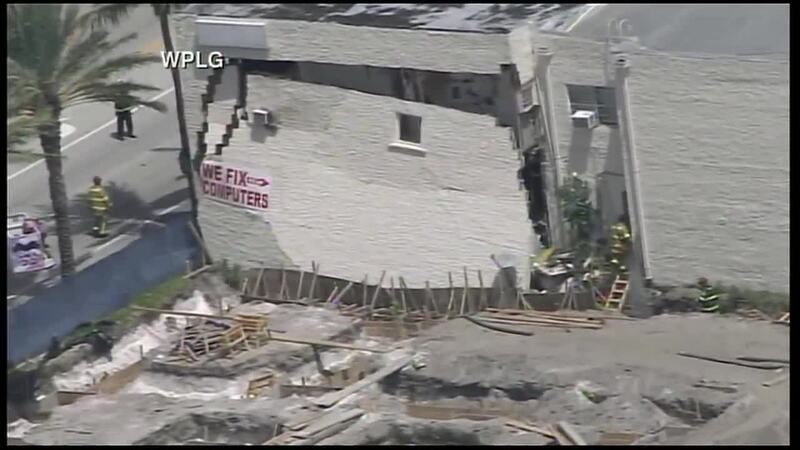 Broward Sheriff Fire Rescue officials said construction workers were performing an excavation on the south side of the building for another building when the wall collapsed. "Crews were excavating the area, they were digging a trench. It appears they were readying the ground for a new building that was to be erected," BSO Fire Rescue Battalion Chief Michael Kane said. "And during the process, it appears that that south wall lost its integrity and collapsed southward." Crews searched the building but didn't find any victims, other than a kitten that had to be rescued from the rubble. No injuries were reported. The two-story building has businesses on the first floor and apartments on the second floor. Broward Sheriff Fire Rescue officials said traffic in the area was being diverted.